Mary found her passion for Clinical Social Work after exploration of many fields of work and occupations. From library manager to motorcycle messenger to news radio reporter, this seeking led her to social work, where she discovered a passion for helping to create change in the lives of individuals and couples. Mary completed a Masters degree at Barry University School of Social Work in Miami Shores, FL in 2004. 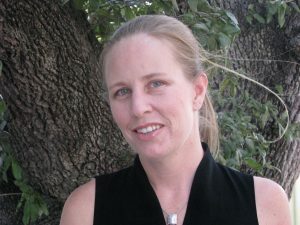 She moved to Austin and entered private practice at Plumeria Counseling Center in 2009. Client self-care and personal responsibility are among the central themes of Mary’s counseling ideology. Integrating emotional processing, cognitive therapy and mindful-awareness, Mary works with clients to develop a clear vision of what is working in their lives while creating day-to-day progress in living the life of their choosing. Mary believes we are always in the process of becoming who we are, and that life is to be enjoyed in the imperfect present.